Professional dog grooming for resident and non-resident dogs is available on-site with our fully qualified groomer, Hannah. 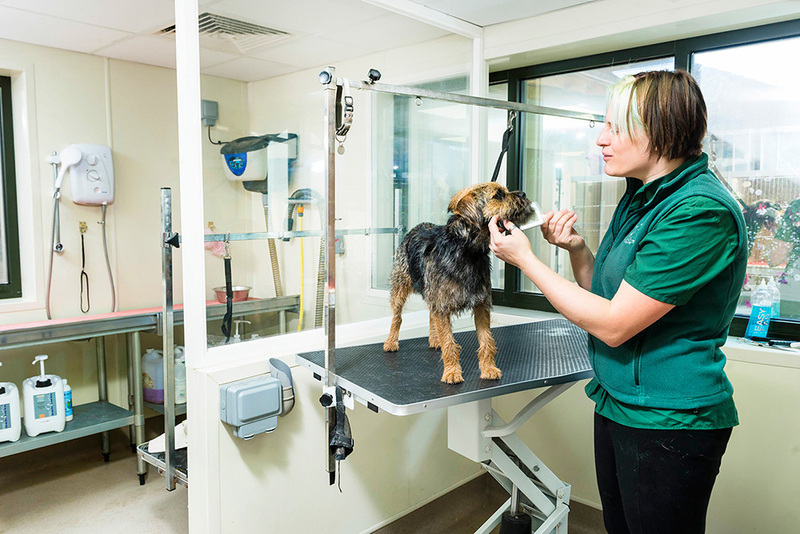 We provide extensive grooming services for all breeds of dogs – whether they are staying with us or not. Hannah, our experienced, professional groomer will make sure that your dog is not only expertly groomed but also thoroughly enjoys the experience. A grooming session can take from half an hour to four hours. Grooming appointments are available in business hours 8.30am – 5.00pm.